This post, "Two Teams Keep Postseasons Alive" was originally published on Big 12. 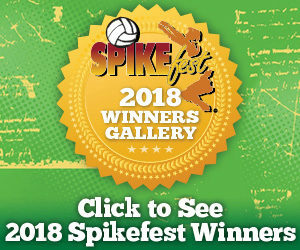 The first and second rounds of both the NIVC Tournament and the NCAA Championship concluded with Iowa State and Texas advancing in their respective tournaments. The No. 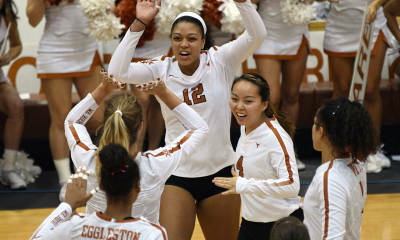 5 seeded Longhorns captured their 12th-straight win, advancing to the NCAA Regional Semifinals for the 13th-straight time, 31st overall. Anchored by Yassmeen Bedart-Ghani’s eight kills and match-high .636 hitting percentage and Logan Eggleston’s career-high .606 hitting clip, UT swept Texas State. Baylor concluded its season in the NCAA Second Round for the third-straight year after a five-set drop to host-school and No. 15 seeded Oregon. Senior Aniah Philo capped off her night with a double-double (10 kills, 12 digs). Philo owns the program-most double-doubles in the NCAA Championship with three. Iowa State earned its sixth-straight win after a three-set home victory over Bradley. With the win, the Cyclones solidified a spot in the NIVC Tournament Quarterfinals to face North Texas on Wednesday, December 5. Texas will face the winner of No. 12 seeded Pittsburgh/Michigan and wait out the result of No. 4 seeded BYU/Utah to declare the host-site for the NCAA Championship Regional Round.